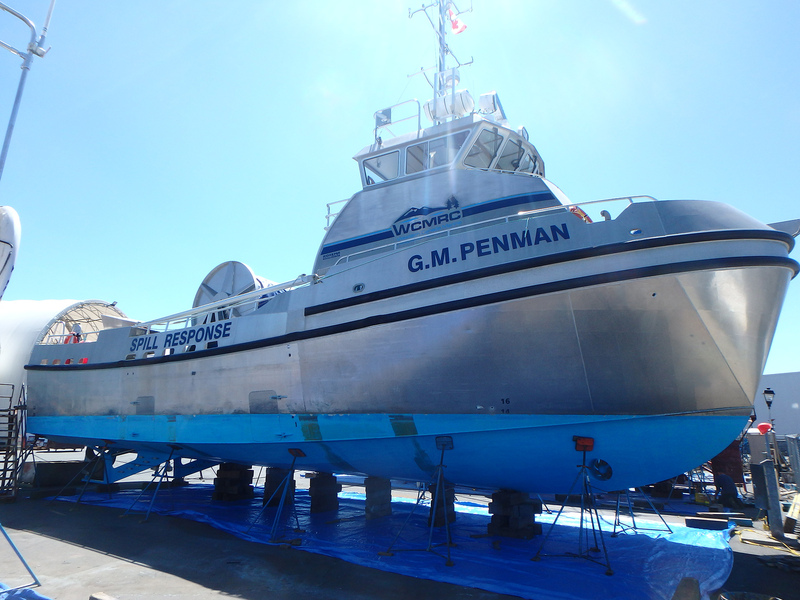 The GM Penman is a 64’ vessel equipped to respond to marine emergencies involving fuel or oil spills. 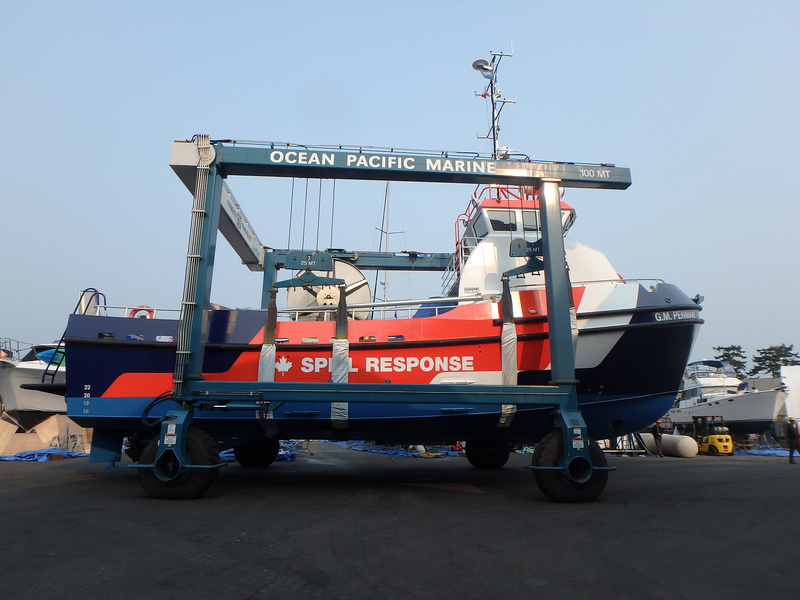 The vessel is owned and operated by Western Canada Marine Response Corporation. She holds a 1500 foot self-inflating Kepner boom to contain oil at a spill site. The boom skimmer can skim 49 tons of products an hour. The GM Penman is the first in their fleet to undergo a redesign. The redesign meets the new specifications that have been developed to make spill response vessels recognisable on the coast. White, orange and blue are the new colours of spill response on our coast. 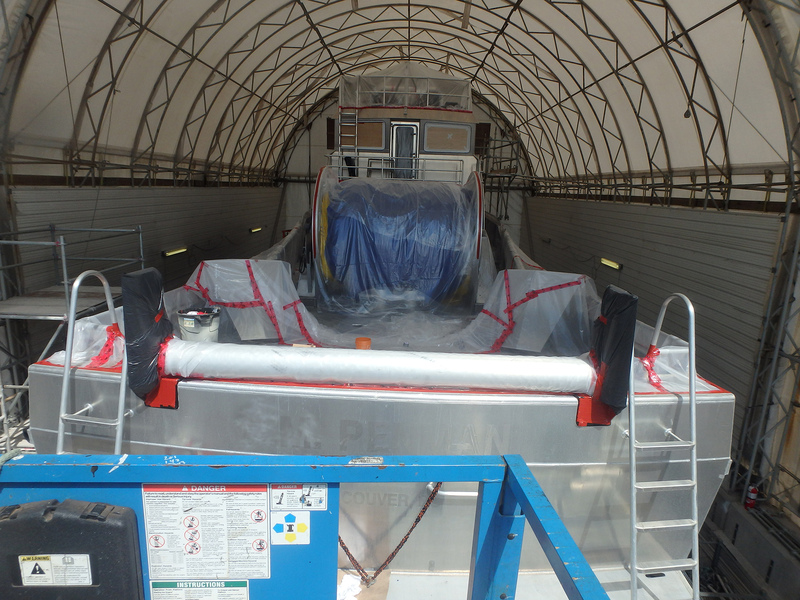 Ocean Pacific sandblasted the hull and wheelhouse of the vessel and applied the paint to meet these new specifications. While Ocean Pacific was proud to see the GM Penman head out to sea, we hope she never needs to be used. Departing Ocean Pacific with her fresh new paint job!